Paris Jackson was involved in a heated argument with her boyfriend Gabriel Glenn during their wild two-day trip to New Orleans, Louisiana this week. 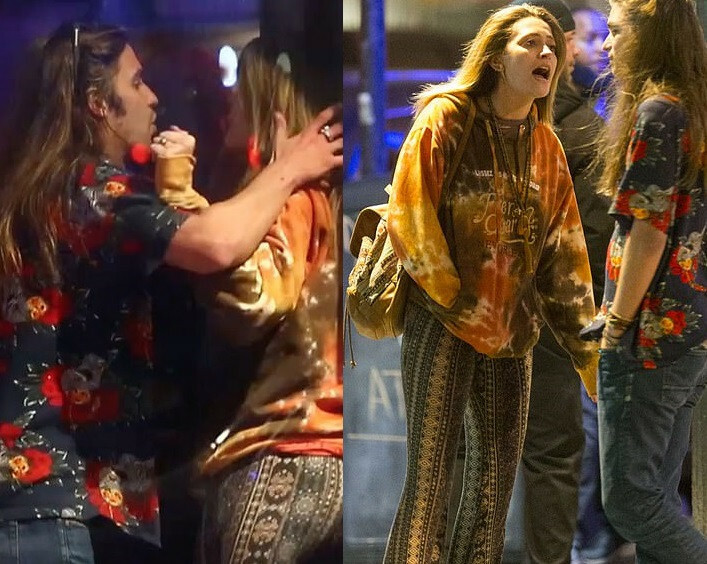 The model and actress, 20, who recently defended her late father and Pop king, Michael Jackson after he was accused of child abuse in the shocking Leaving Neverland documentary, was spotted with her man at a bar arguing. It was also claimed by the source that at one point Paris begged Gabriel to stop before 'turning away in tears'. However, a few seconds later she reportedly yelled: 'Don’t f***ing touch me right now' as Gabriel 'tried to touch her face'. 'They seemed to be arguing about drugs, and she looked messed up. Her eyes were wide, and she was fidgety,' it was continued of the altercation.